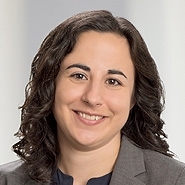 Schulman was a patent litigator in Hunton & Willams’ D.C. office. One of his clients was King Pharmaceuticals, which he represented in a patent lawsuit. During the representation, Schulman learned from another Hunton attorney that King wanted to settle the lawsuit because it was in confidential acquisition talks with Pfizer. Less than 10 days later, Schulman met at his home with his financial advisor, Tibor Klein, with whom Schulman and his wife had become friendly. Schulman—as he admitted in a deposition given to the SEC—told Klein over dinner “boy, it would be nice to be king for a day.” Schulman told the SEC, and later the U.S. Attorney’s Office, that he was showing off, and it was just a joke. The next day, Klein spoke with Michael Shechtman, a childhood friend and a financial advisor as well. Klein asked what Shechtman would do with inside information, and told him that Pfizer was about to buy King. Shortly after, Shechtman bought $15,000 in King options and $45,000 of stock. Klein purchased $585,000 in King shares for various clients, including his own account and the Schulmans’. When the acquisition was publicly announced, the stock price shot up and Schulman made $15,500 on the investment. Schulman was convicted of securities fraud (a substantive count and conspiracy count) and his Rule 29 motion based on insufficient evidence was denied. 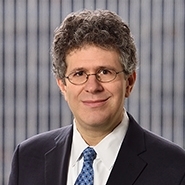 In his post-trial motion (as well as on appeal), Schulman challenged the sufficiency of the evidence that he intended Klein to trade on inside information. He argued that the jury could not have concluded that he said anything more to Klein than the “king for a day” comment, or that he meant Klein to do anything with the information. The trial court disagreed, and then sentenced Klein to three years’ probation, a $50,000 fine, forfeiture of his trading profits of $15,527, and 2,000 hours of community service. In affirming the conviction, the Second Circuit emphasized the need to evaluate all the evidence together, and to credit the jurors’ common sense in drawing inferences from the evidence that was presented. Here, the jury could have concluded beyond a reasonable doubt that Schulman intended Klein to make use of the information he provided about King, and that he did so to either gain a benefit for himself or to give a “gift” to Klein. First, the Second Circuit rejected Schulman’s argument that the jury could not have concluded he said more than the “king for a day” comment. Schulman himself acknowledged in his SEC deposition that the statement was about King Pharmaceuticals, and Shechtman testified that Klein knew he was dealing with inside information. Second, there was plenty of evidence that Schulman wanted Klein to trade on the information, not least supported by the fact that Klein managed Schulman’s money and was at his home to discuss his portfolio. Moreover, Klein did trade immediately after getting the information. And there was evidence presented that Klein had, in the past, traded in the securities of Schulman’s law firm clients, with Schulman’s knowledge. Schulman relied heavily on the fact that there were no follow-up communications after the “king for a day” comment, but the Court held that—at most—that supports an inference that Schulman didn’t intend Klein to trade for Schulman’s benefit. It is consistent with the theory that Schulman gave the information to Klein as a “gift” to use for Klein’s own benefit or his other clients. The Circuit’s decision spotlights that there were definitely two sides to this trial, as it reviewed the many arguments and pieces of evidence consistent with both guilt and non-guilt. The problem for the defendant is that in every instance, the Court stated that a reasonable jury could have made the inference supportive of guilt. If the evidence had been in true equipoise, with equal evidence supporting both guilt and non-guilt, then the Court would have reversed. But it concluded that the evidence was not equal on both sides; it tipped in favor of guilt. The jury’s finding in this close case would not be disturbed on the facts presented here. A final note: although this was an insider trading case involving a tippee, there was no “personal benefit” issue here, similar to that raised in Martoma and this week’s Gupta decision. The district court instructed the jury that the personal benefit requirement was met so long as Schulman intended to receive a personal financial benefit or bestow one as a gift on his friend Klein.